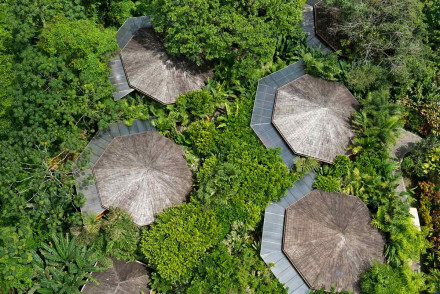 An eco lodge and homely hide-away in the depths of the rain forest. With the property's emphasis strongly lying on conservation be assured of a learned stay; from organic farming to rain forest protection. Dining is a particular highlight with almost all of the produce coming from property. Superb. Foodies - Sample a piece of the forest with 90% of the ingredients coming from the property which grows organic and biodynamic produce. Eco break - A hotel with a cause. Luna Nueva protects large areas of primary rainforest and boasts an enormous medicinal garden. Great walks - Take an educational walk of the forest with one of the hotel's guides. Be awoken to joyful colour in this tranquil retreat set amidst tropical gardens. Bright rooms feature splashes of vibrant hues, plenty of light and stunning views. 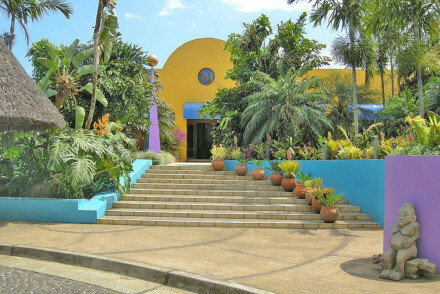 Feast on Costa Rican specialities in the candle lit restaurant and unwind over a massage in the spoiling spa. A rejuvenating stay. Hideaway - A colourful haven in the heart of the rainforest. Birdwatching - Spot birds right from the property including squirrel cuckoos, motmot, tropical kingbirds and various hummingbirds. Sights nearby - Make a trip to the active Poás volcano; a stunning sight. 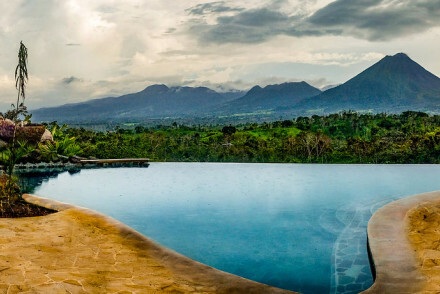 A tropical farm stay with epic views of Arenal Volcano. Traditional cabins feature plenty of wood, murals and large terraces to sit and enjoy the scenery. Dine on authentic local fare with produce coming from the area. Find a wide range of activities. Ideal for a bona fide Costa Rican experience. Country Escape - A rural escape on a tropical level. A farm-stay complete with volcano views, hammocks and exotic wildlife. Families - Ideal for families with plenty of activities to keep little ones entertained with. Birdwatching - An exciting area for birdwatchers with a countless array of species. 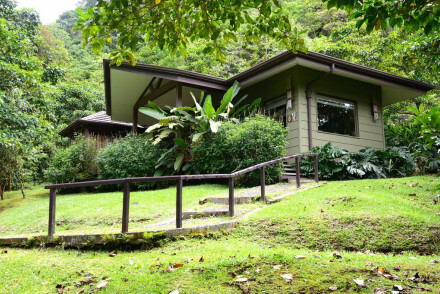 Find absolute luxury nestled amidst the lush rainforest. Elegant rooms feature polished wooden floors, conical shaped ceilings and dark antique furniture. Unwind over a massage in the outdoor spa bungalows. Feast on anything from sushi to tapas in the four superb restaurants. Romantic and relaxing. Total relaxation - A glorious spa, secluded rainforest location and attentive service all lead to total relaxation. A magical property set amidst the cloud forest. Cosy lodges feature open fireplaces, exposed stonework, beamed ceilings and large terraces to enjoy the spectacular views. Dine on traditional Costa Rican delicacies and spend evenings sipping cocktails in the atmospheric bar. A gorgeous rural escape. 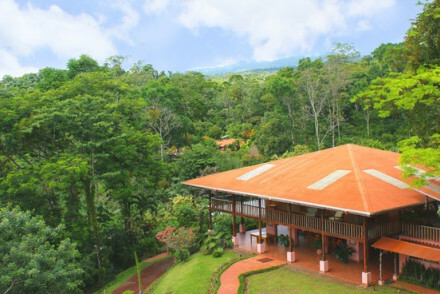 Back to Nature - Located high in the cloud forest and surrounded by flora and fauna. A nature lover's paradise. Birdwatching - View the wide variety of species at the Waterfall Gardens. 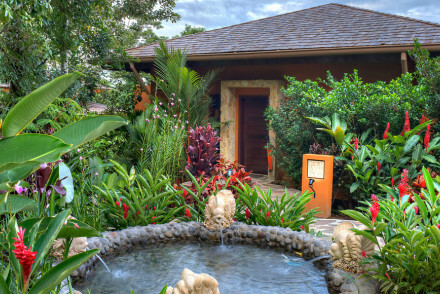 A boutique adult-only luxury hotel hidden in the lush Costa Rican rainforest. Secluded villas are completely spoiling with private plunge pools, enormous outdoor bathrooms and secluded terraces. A choice selection of five restaurants with cuisine from the world-over. A honeymooners haven. Honeymoons - An intimate adult only hotel with secluded villas and stunning surrounds. Total indulgence. Spa breaks - Unwind over a massage in the outdoor spa whilst hearing the noises of the rainforest. Restrictions on children - An adult only hotel. 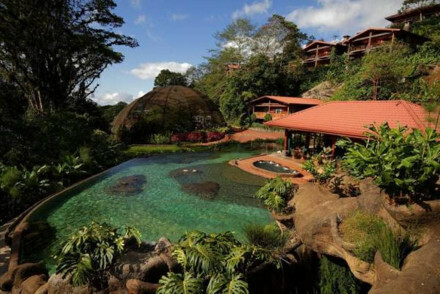 A tranquil jungle retreat and spa just an hour outside of San Jose. Luxurious rooms use natural materials; think polished hardwood floors and woven bamboo details whilst bathrooms are wonderfully indulgent. The cuisine is simply exquisite with much of the produce coming from the garden. Fabulous. Spa breaks - A fabulous spa and outdoor yoga studio inspired by the surrounding forest. Back to Nature - Located within the jungle with volcanoes and hot springs to visit. Sights nearby - Take a day trip to the Arenal volcano and be sure to stop at the Tabacón hot springs too.